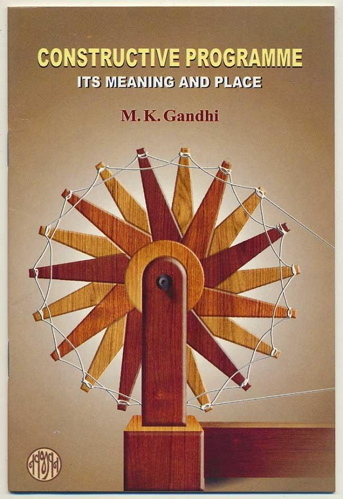 In this we can see how Gandhi in effect held his fellow-citizens responsible for their own subjugation. The way to achieve the necessary individual and collective transformation that would make Swaraj a reality was for people to transcend the practices that prevented them from achieving their potential as free human beings. And it was in his constructive programme that he began to explore the types of changes necessary. EDITOR’S NOTE: Andrew Rigby is Emeritus Professor of Peace Studies, Coventry University, UK, and was for many years a Reader in Peace Studies at the Bradford University School of Peace Studies before leaving to become the founding director of the Centre for Peace and Reconciliation Studies at Coventry University. Andrew was drawn to Peace Studies because of his pacifist convictions, which in turn led to his long association with the British pacifist publication Peace News and with War Resisters International. He has published on such topics as alternative nonviolent life styles, the Gandhian sarvodaya movement in India, the role of forgiveness in nonviolent conflict transformation, biographies of pacifists and philosophers with particular insights into the dynamics of nonviolent change, dealing with the past in societies emerging out of damaging violent conflict, maritime-based nonviolent direct action, and the emotional dynamics of peace-building and conflict transformation. His study of the first Palestinian intifada has been re-published in a fully revised edition as The First Palestinian Intifada Revisited, Sparsnäs (Sweden): Irene Publications, 2015. His most recent book (co-authored with Marwan Darweish) is, Popular Protest in Palestine: The Uncertain Future of Unarmed Resistance, London: Pluto Press, 2015.